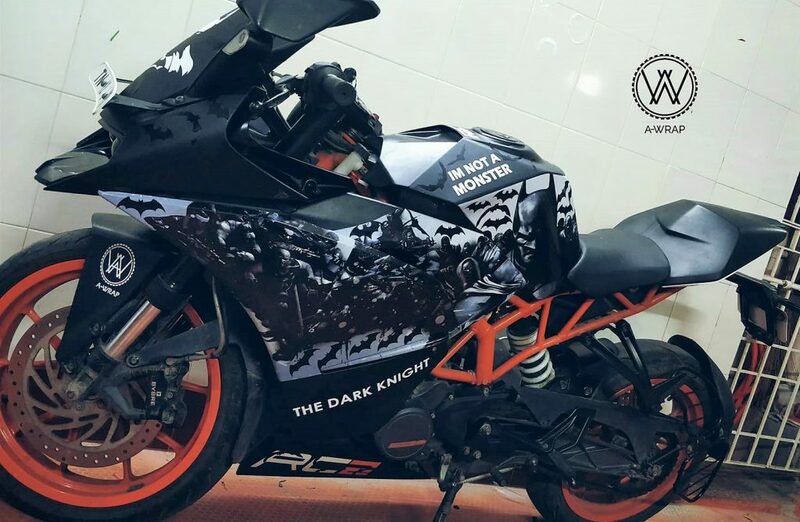 RC200 worked as a canvas for ‘A-Wraps’ when they were in the mood to bring Batman on Indian roads. 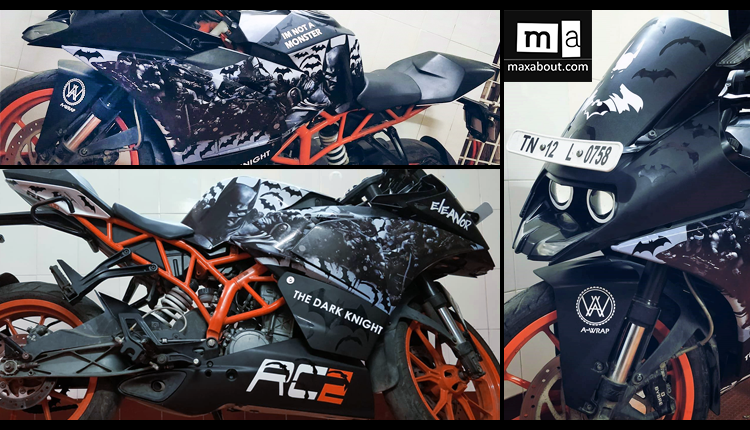 This typical RC200 Batman Edition is dedicated to ‘The Dark Knight’ and carries a side view that will amaze every Batman fan for sure. 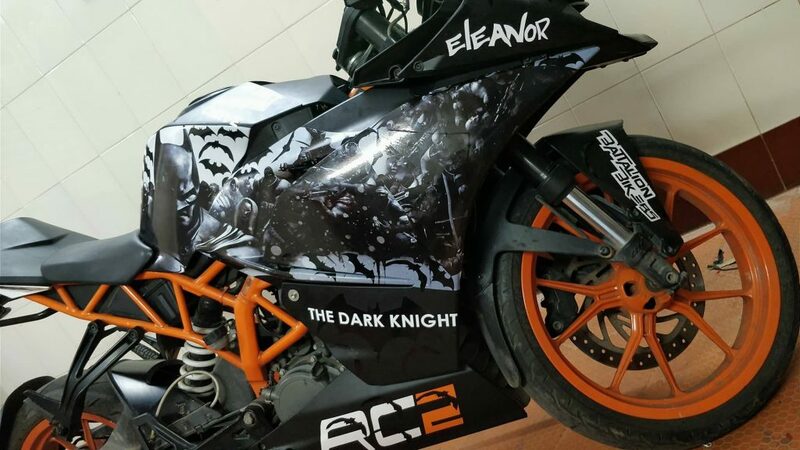 The fuel tank is covered with Batman’s face from both sides while side fairing is neatly wrapped in different character of the series. 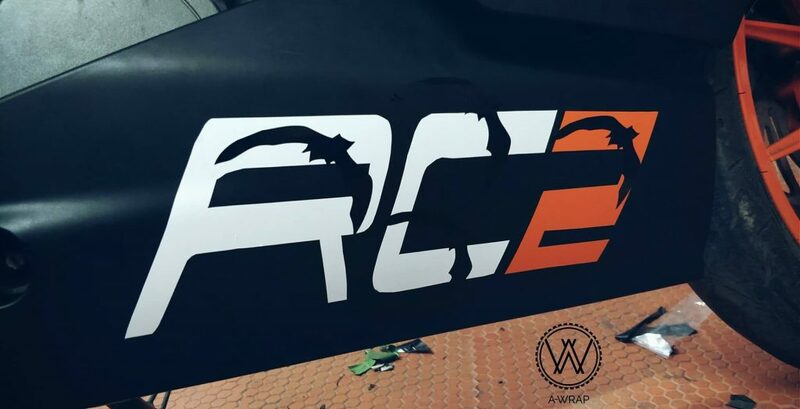 Belly pan has RC2 moniker with flying bats inside the white and orange area. 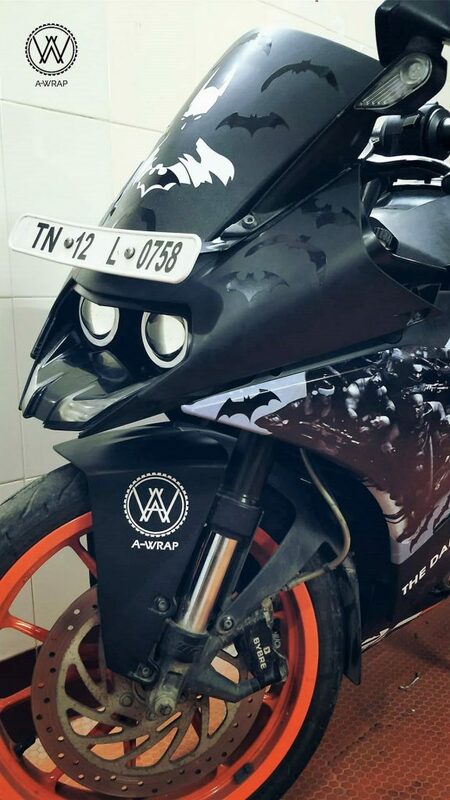 Batman’s flying Bat symbol is seen almost everywhere on the motorcycle. 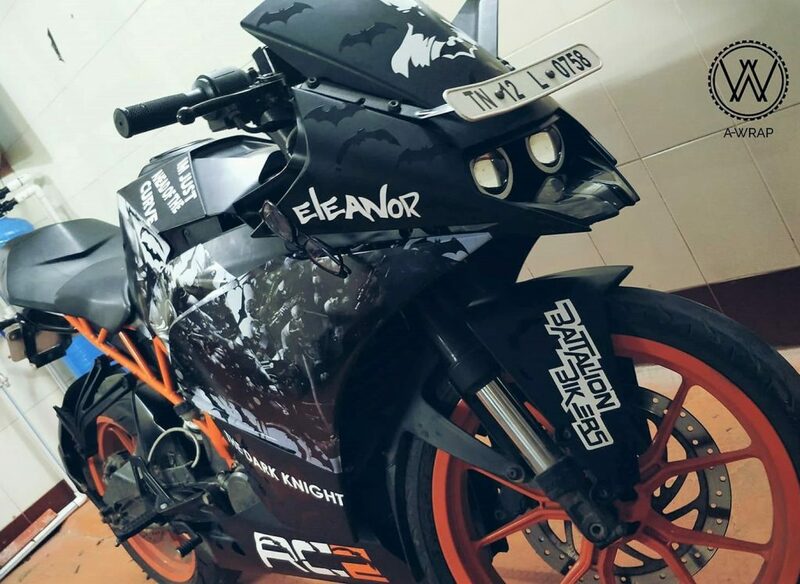 Apart from this typical theme, no physical or technical modifications were made on the motorcycle. 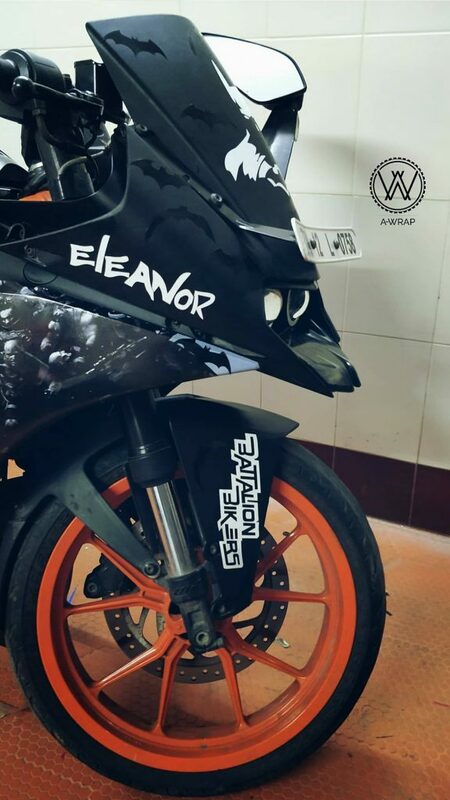 It is still powered by the same 199.5cc, single cylinder engine producing 25 HP at 10,000 rpm and 19.2 NM at 8,000 rpm. The engine comes mated to a 6-speed gearbox. 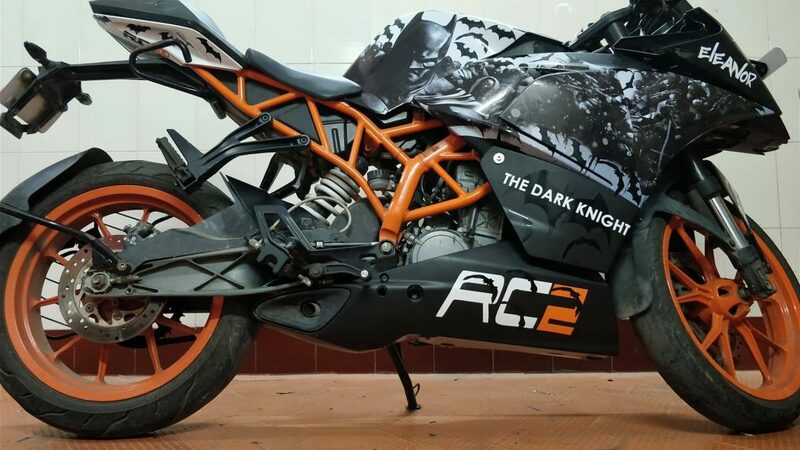 KTM RC 200 retails for INR 1,78,000 (stock version, ex-showroom Delhi) and is available in 2 shades: White/Orange and Black/Orange.